The number of ‘clocked’ cars sold in the UK is on the rise, according to the latest figures released by HPI. 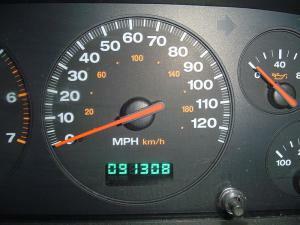 A clocked car is a vehicle which has had its mileage clock, or odometer, tampered with to show that is has done fewer miles than the reading suggests. The vehicle history expert HPI has revealed that the number of vehicles with this discrepancy went up in 2013, despite having been on the decline in recent years. It is a practice that might boost the price of a used car but it is also illegal and potentially dangerous. It is important to make sure that any such deception is not present when a company is acquiring motor trade insurance; to get the best deal that will cover all possible threats to the business, a firm must be transparent and honest about its practices and the vehicles it owns. Based on sales figures from the Society of Motor Manufacturers and Traders (SMMT), HPI says that there could be as many as 486,000 vehicles with false mileage on British roads. The advent of digital odometers has been singled out as a potential reason for breaking the trend of declining reports of clocking. HPI states that a seller could as much as double the value of a car through substantial clocking. There are serious safety concerns involved as car parts will be far more worn and susceptible to failure in more used vehicles, something the owner would not be unaware of if the mileage had been significantly lowered. The organisation advises people looking to buy a used car to perform thorough checks into a vehicle’s history before completing the purchase.